This is the website for the much-anticipated writing conference for 10 Minute Novelists! 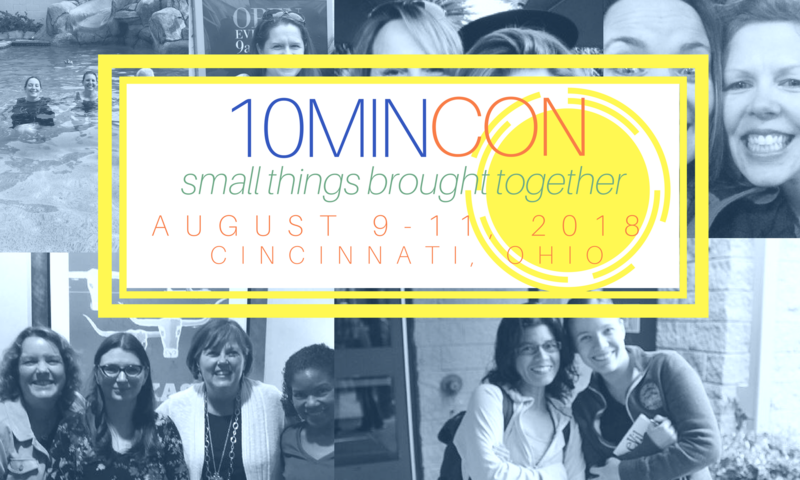 For three glorious days in August 2018, will come together to celebrate writing, learn from experts, and bask in each other’s author happiness. A 10 Minute Novelist is a time-crunched creative writer who likes to hang out with other novelists for support, encouragement, and advice. Our 10,000 or so fun-loving members worldwide build each other up, share their invisible snacks, and pursue their writing goals together. You can join us on Facebook here: Take me to 10 Minute Novelists! Janice Hardy is the award-winning author of The Healing Wars trilogy, including The Shifter (2014 list of “Ten Books All Young Georgians Should Read, shortlisted for the Waterstones Children’s Book Prize and The Truman Award), Blue Fire, and Darkfall from Balzer+Bray/Harper Collins, and the author of multiple books on writing, including the bestselling, Understanding Show, Don’t Tell (And Really Getting It). She is the founder and owner of FICTION UNIVERSITY. Check out her website here. Janice will be speaking twice on Saturday, August 11. Once on Planning Your Novel in Ten Easy Steps: 10 Surefire Steps to Planning a Bestseller! And later that day on Revision Readiness: How to Revise. Join Janice Hardy as she breaks down her top times for whipping that manuscript into shape. James Scott Bell is the #1 bestselling author of Plot & Structure, and award-winning thrillers like Final Witness, Romeo’s Rules, Don’t Leave Me, Blind Justice, Deceived, Try Dying, Watch Your Back, and One More Lie. His short fiction has appeared in two anthologies and he is currently at work on two series: pulp style boxing stories featuring Irish Jimmy Gallagher and the vigilante nun series Force of Habit. You can read more about James here. James will be giving the keynote address on Thursday, August 9. Details to be announced. Donald Maass founded the Donald Maass Literary Agency in New York in 1980. His agency sells more than 150 novels every year to major publishers in the U.S. and overseas. He is the author of The Career Novelist (1996),Writing the Breakout Novel (2001), Writing the Breakout Novel Workbook (2004), The Fire in Fiction (2009) , The Breakout Novelist (2011) and Writing 21st Century Fiction (2012). He is a past president of the Association of Authors’ Representatives, Inc. His website is here. During our conference, Donald Maass will speak on The Fire In Fiction. This hands-on presentation will reveal how master contemporary novelists make every book great—and how participants can use the techniques of greatness in their current manuscripts. This is an intensive, hands-on workshop for advanced fiction writers. Participants should bring a WIP and writing materials. More details coming! Stay tuned! Have questions about our conference?